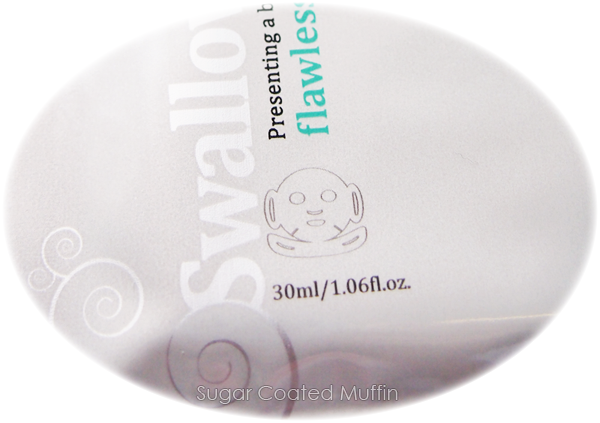 Have you ever imagined you will be putting bird's saliva on your face? Nope, me neither lol The things girls do for beauty..
Actually the reason I bought this mask is because apparently these girls cleared all the stock at the booth in Taylor's wtf So I requested Suanne of TT Mask to bring more and reserve for me. In case those crazy girls come again.. =x But this mask in particular was sponsored by TT Mask & The Butterfly Project, along with the Instantaneous Brightening Cooling Mask. Thanks! Haha! Check out that cute symbol at the bottom. This is a lifting mask with hooks. Basically you just place the mask on your face, attach side hooks to ears then the bottom ones go on your ears too. 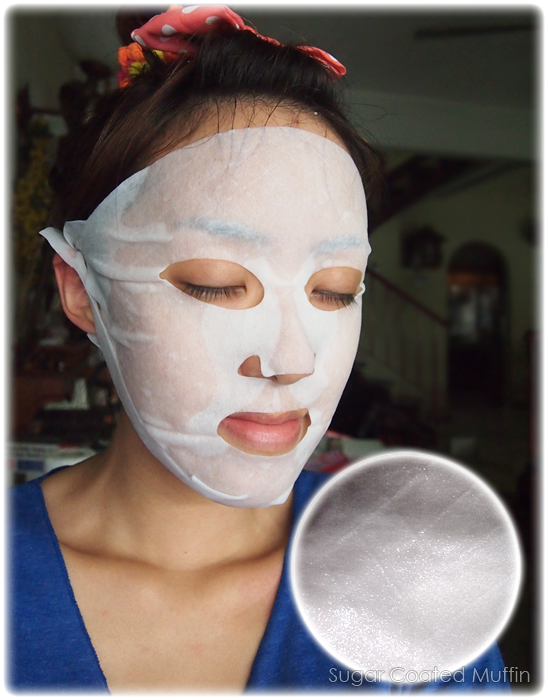 It should feel slightly tight to pull your face upwards but if it's too tight, TT Mask's sheet is soft enough to stretch. Just give it a gentle tug. Here's how it should look like! Notice the holes for eyes, nose and mouth are placed perfectly. Overall, my face looks less tired and slightly brightened. 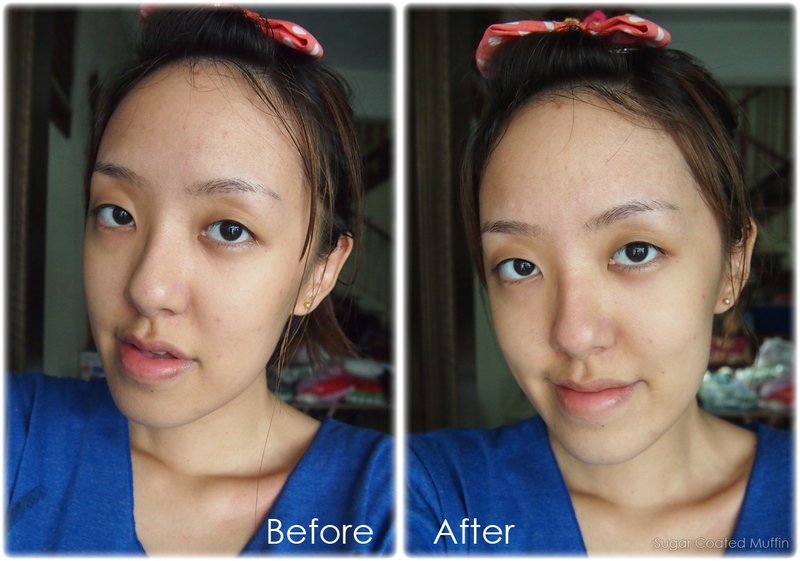 The lines on my face also seem to soften (probably from the hydration). I've been feeling my skin sag for the past few weeks and this mask works great to counter the effects of gravity! I don't feel the weight on my cheeks that badly after. 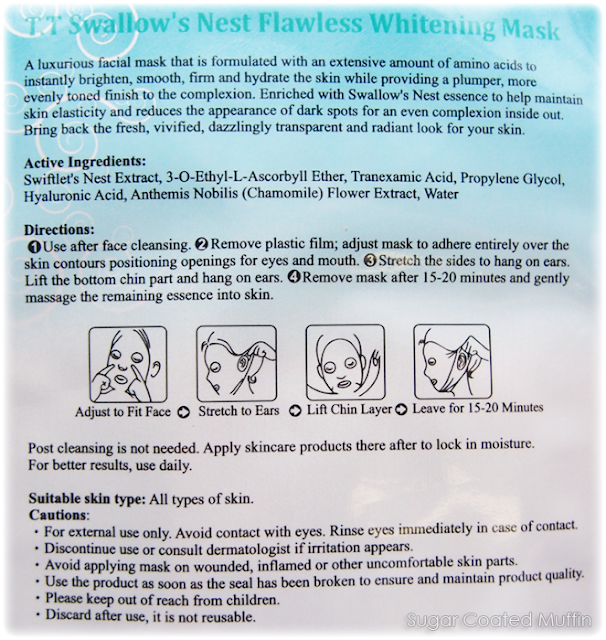 The Orchid Extract Replenishing Mask is another lifting mask that you can try. To let you experience the goodness of this mask, I'm giving out 1 pc of the Swallow's Nest Flawless Whitening Mask and a 20% discount voucher! All you need to do is leave a comment in the Disqus below telling me why you want to try this mask! Make sure you leave your e-mail in the Disqus so I can contact you =) Open to Malaysian addresses only. never tried this mask before and wish to get it from you..I love mask alot as it can hydrant my skin better than usual moisterizer..
Read so many reviews about TT mask really make me so tempting to try it myself! Because i want to try out the lifting of the mask and my face is a bit dark after doing sports activites, need a mask to whitening as fast as it could. reading your review regarding this amazing product has made me eager to try it out! 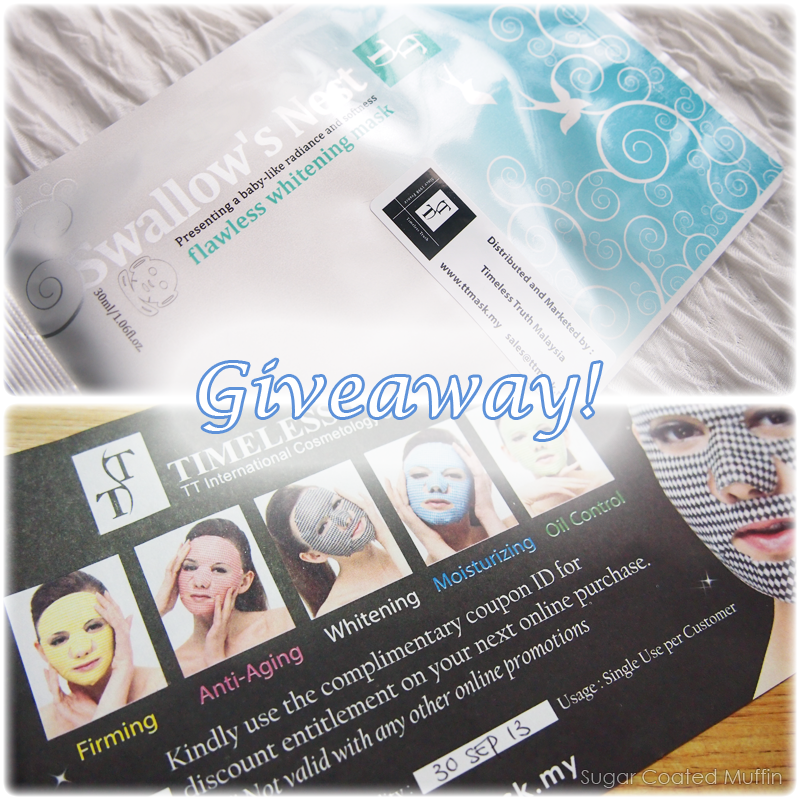 i would love to win the TT Swallow's Nest Flawless Whitening Mask coz I've heard so much positive reviews about TT ^_^ plus, I need whitening products badly now as I got a bit burnt after spending a day at Port Dickson, haha! 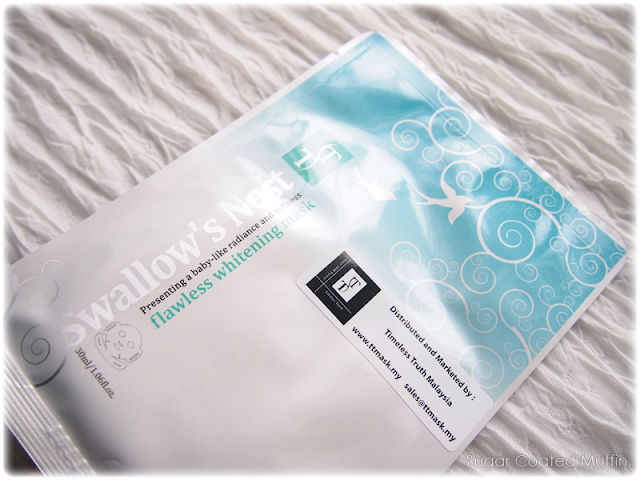 I really love face masks, and I trust that Timeless Truth masks are the best!